A first class piece of kit. So easy to use. I have already managed nice drop-on-drop collisions in less than 30 mins of fiddling with timing. 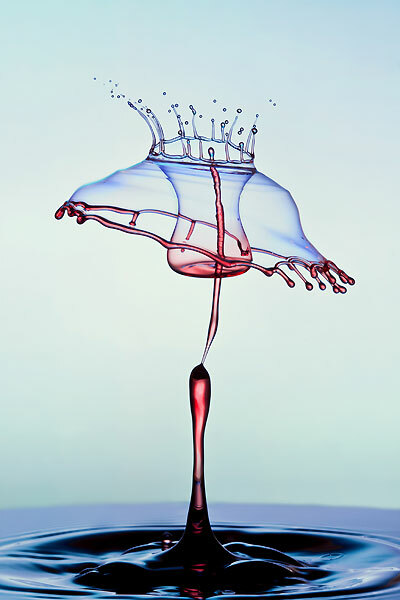 The Drip Kit is an accessory for the Time Machine that makes it easy to photograph water drops and drop collisions. It was designed to be the easiest to use, and easiest to set up system you can buy. You can be capturing drop collisions the same day you receive the equipment. 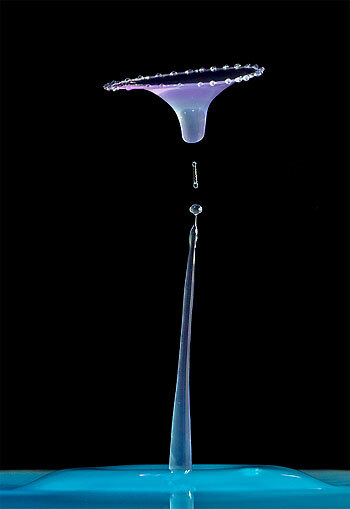 Photographing water drops is an art, and superior images (like those shown later on this site) come after you have learned to control the timing and lighting. 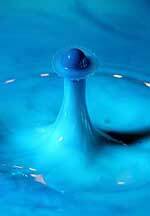 But the mechanics of producing drop collisions is easy with the Time Machine and Drip Kit. To use the Drip Kit you also need a Time Machine, a cable to connect your camera to the Time Machine, and cables to connect your flashes to the Time Machine. 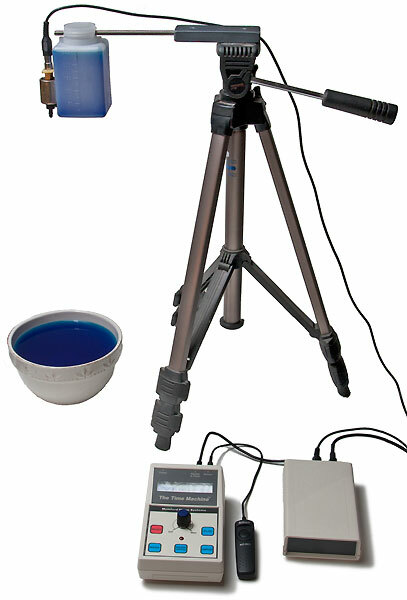 The drop bottle and water valve are mounted to the top of a tripod you provide. The valve will dispense drops on command that fall into a pool below. 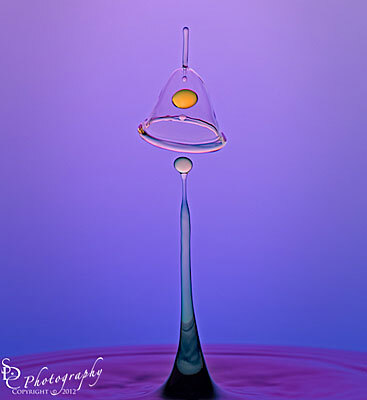 You can easily adjust the height of the drops by raising or lowering the tripod. You can easily control the number of drops, their size, and the timing with the Drop Mode in the Time Machine. 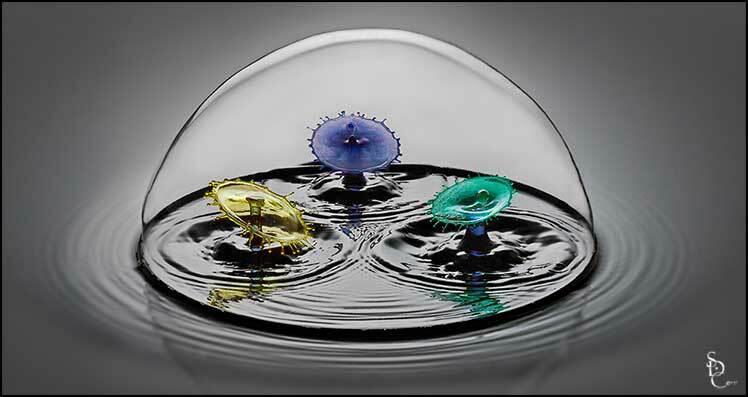 Each of three drops can be a different size, and you have independent control of the delay betwen drops 1 and 2 and the delay between drops 2 and 3. The Drip Kit is ready-to-use and can be quickly set up on a kitchen table to photograph perfectly timed drops within a few minutes. It runs on built-in nine volt batteries so no electrical outlet is needed, and there are no AC adaptors and extra cables in the way. 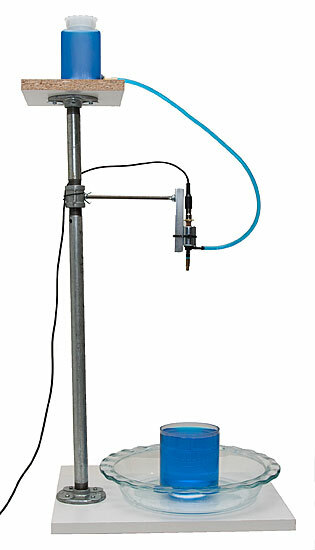 Click Here to download a PDF file of the Drip Kit instructions. You can aslo support the Drip Kit with a photographic copy stand, pipe fittings from a hardware store, or any more elaborate wooden structure you may wish to build. The water valve can be purchased fastened to the drop bottle for the most convenient, simple operation, or you can purchase a separate bottle and valve to give more control over the flow of water or placement of multiple valves. 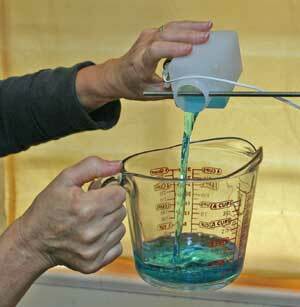 If you wish to change colors it's easy to tip the reservoir to pour out one fluid and replace it with another. Drop count - The number of drops to emit, from one to 255. 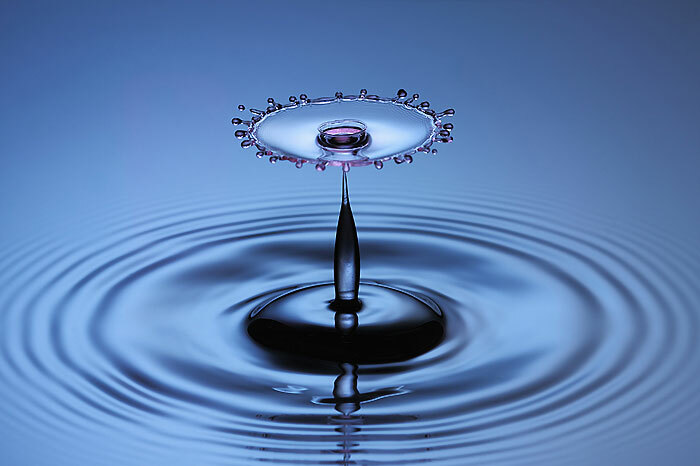 Interval - The time to wait between multiple drops, from .001 to 9.999 seconds. 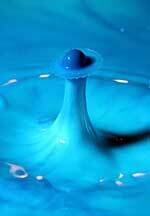 Drop size - The time the valve is open to form each drop, from .001 to .255 seconds. Flash lag - The time to wait before the flash is fired, from .001 to 9.999 seconds. Advance - An amount of time to add to the next drop sequence. When more than one drop is selected, you are allowed to enter a different size for drops 1, 2, and 3, and a different delay after drop 1 and drop 2. The Time Machine is then "Armed" and ready for you to press the trigger button. 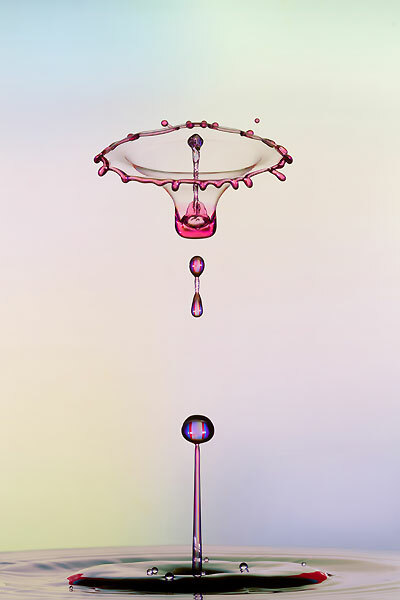 When you press the button, the camera shutter is opened, the water valve releases the drop(s), the flash fires at the precise instant selected, and your drop photo appears on your camera preview. The accuracy of our drop timing is unmatched. Every Time Machine is built to your order, and the timebase components are hand-picked for an accuracy of +/- 5 parts per million. (We're experts at precision timing. We also make a calibration tool used the world over to measure the accuracy of clocks and watches. They use our tool to measure the Great Clock in the tower of Big Ben.) Every Time Machine and Drip Kit is made in the USA, assembled by hand at our shop in Santa Barbara, California. The trigger button is on a long cord so you can keep it with you behind the camera. Each time you press the button, another drop (or drops) is released and a new image appears on your camera's preview screen. 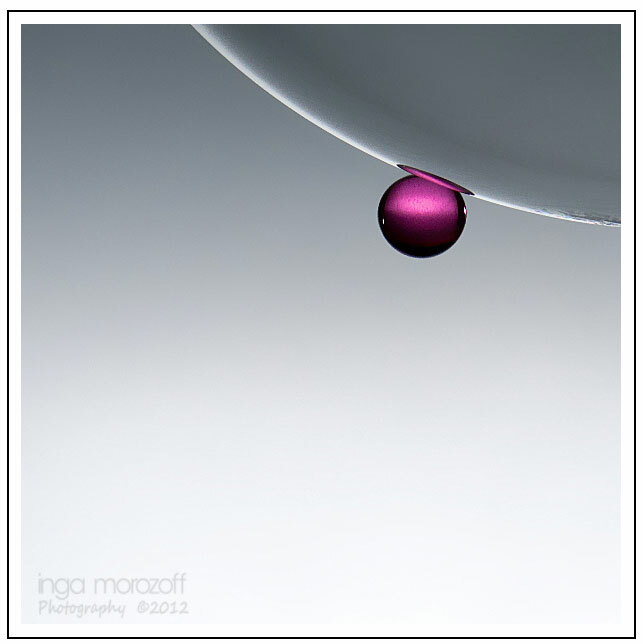 You can then evaluate the image and adjust the lighting or timing, or shoot another drop with the same settings. If you have programmed an "Advance", the next exposure will be a little later in time. 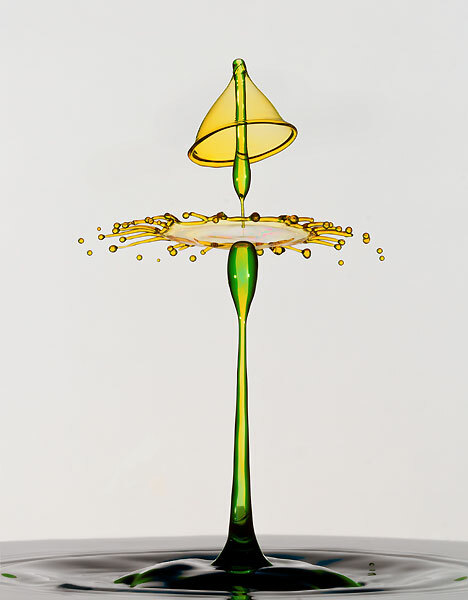 You can shoot drops during the daytime in a room that's not completely dark because the exposure time is short. This makes it easier to adjust the equipment while you work. 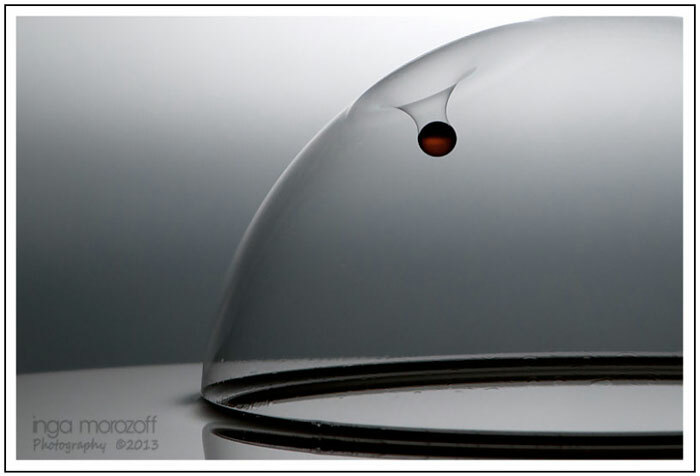 The images below illustrate the degree of precision the Drip Kit can keep. Each image was taken one after another. In each case the first drop has struck the pool and bounced up. 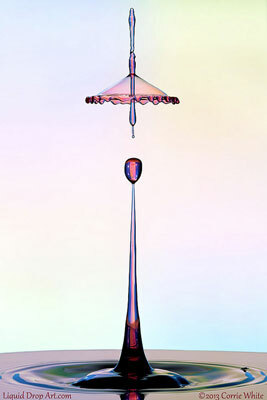 A second drop is falling afterwards, and has just made contact with the first drop. The collision is beginning to spread into a sheet at the intersection. All four images are nearly identical. There is no need for an optical sensor in the drop path because the drop release is accurately timed by the electric water valve, which is controlled by our precision timebase. Just stand behind your camera, press the trigger button, and everything happens automatically. 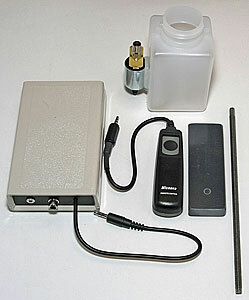 The Drip Kit (shown here). A Time Machine shutter cable for your camera. Cables to connect your off-camera flash to the female sync jack of the Time Machine. If you want to use more than one flash, you can use the sync jack splitter to plug them into. On Monday I got your package with the Time Machine and the Drip Kit! Thanks a lot! I have already started with this combination and it functions well. It's really an impressive device. I received the Time Machine today, I just saw in general what it can do and I must say thats its amazing. 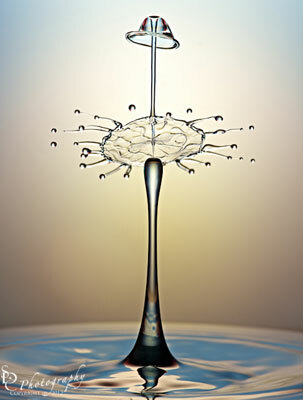 I have already taken "amazing" water drops pictures that I couldn't even dream about before the Time Machine. "You'd think that I'm emaling you with news of my first child, but no, just to let you that I'm completely addicted to the Mumford Time Machine. I only spent six hours this past weekend re-teaching myself about soap bubbles, and finally understanding what you need to get the water drop in a soap bubble shot (like a ship in a bottle). Plenty more to learn, and plenty of fun....Thanks for turning me on to the Mumfy Machine." I just wanted to thank you for the Drip Kit and Time Machine - I have had them for about a week and a half now and I have loved every minute of the process so far. I have attached a couple of small JPGs to show you what I have managed to far. I recently purchased the Time Machine with the DripKit accessory. I also purchased the necessary cable to connect to my 5D Mark II. I am very pleased with my purchase. I was capturing drop collisions in no time. Thanks for the rapid supply of my order " Time Machine ". 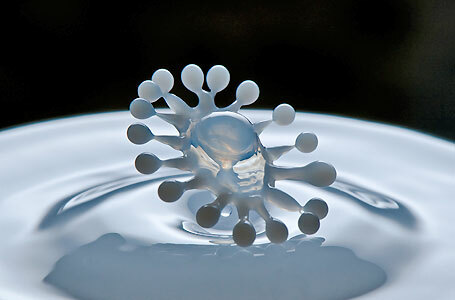 After an hour I have already been able to photograph some very beautiful water drops. I just wanted to write to you and say thank you for the Time Machine and Drip Kit. I have finally had time in the new year to play with them and they are wonderful and your instructions were a great help, clear and easy to understand. Thanks for answering my questions. I have it up and running and have been taking some great shots that I was never able to get before. The kit has been great! I just wanted to thank you for the Time Machine and Drip Kit . It all works brilliantly and I have had a very successful shoot with it ! 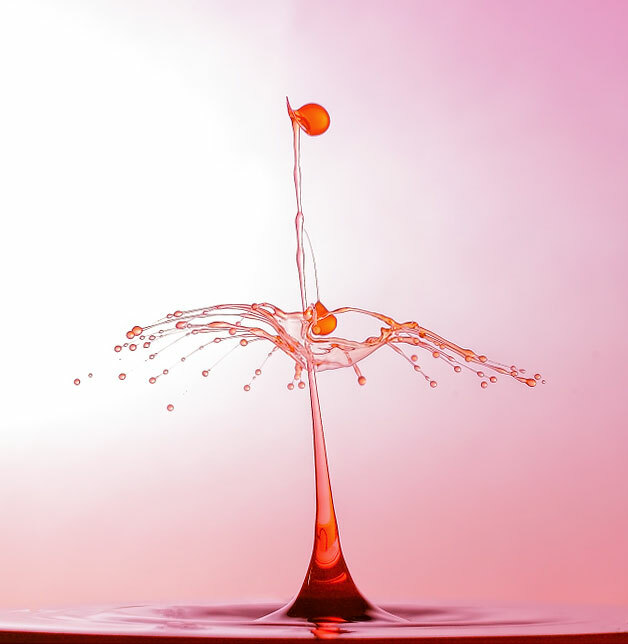 Last night, I started to get set up for shooting water drops. I love the machine, it does everything well, and it's very intuitive to run. Thanks for a great product!!! Just want to thank you with your service in providing me with The Time Machine. Im really happy with it and the quality of my first images exceeded my expectations. All of the following images were taken with the Time Machine and Drip Kit by our customers. 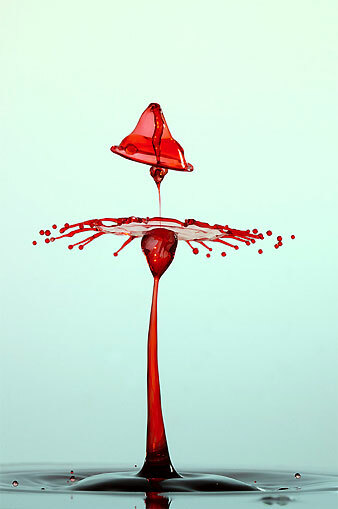 Click on the image below to see a video clip of the Drip Kit in action with slow motion drop collisions. It's a 12 MB file, so it may take a little while to load. This movie is interesting because it illustrates the whole event we are photographing, instead of the frozen frames we normally see. It was filmed by The Slow Mo Guys. They have many other interesting slow motion videos on YouTube. "It's an ENORMOUS improvement. This is so much fun now. It used to be quite frustrating before, but now there is a 100% success rate which is soooo exciting." You can see further examples of Corrie's water drop collisions here. 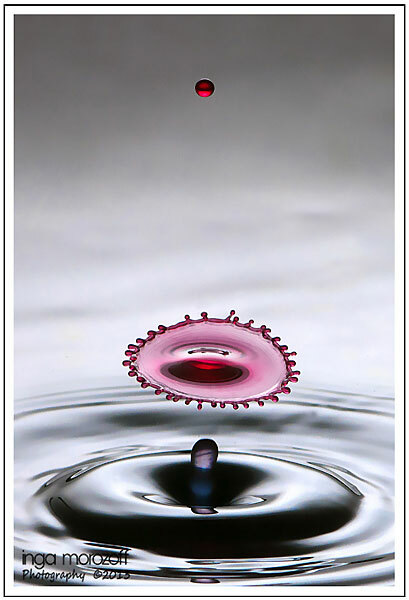 Corrie has written a comprehensive eBook called "The Ultimate Guide To Water Drop Photogtraphy". All images are Copyright by Corrie White and may not be reproduced. These images were taken with the standard Time Machine and Drip Kit by Maria Gemma June. Gemma's images are copyrighted and may not be used without her permission. Her images are copyrighted and may not be reproduced without permission. All images are copyrighted by Richard.